New Delhi: External Affairs Minister Sushma Swaraj has said that India will grant medical visas to an ailing Pakistani man requiring liver transplant and a three- year-old girl from the country who needs an open heart surgery.Heeding to a request by Uzair Humayun, a Lahore-based man, Swaraj said medical visa will be given to his daughter who needs an open heart surgery. 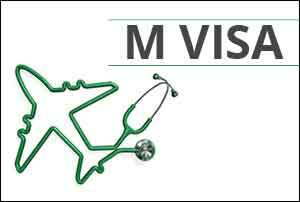 “We are issuing visa for the open heart surgery of your three-year-old daughter in India. We also pray for her speedy recovery here,” Swaraj said in a tweet. Swaraj also responded positively when Noorma Habib asked for her intervention in granting medical visa to her father who she said needs an urgent liver transplant. “Yes, Noorma. We are allowing visa for the liver transplant of your father in India. We wish him a successful surgery and a long life,” Swaraj tweeted. Swaraj has been sympathetically considering medical visa applications from scores of Pakistani nationals notwithstanding strain in the relationship between the two countries over a host of issues.